Brad is responsible for growing business value and building customer partnerships through delivery excellence. He has more than 30 years of experience successfully managing and delivering some of the largest and most complex transformational programs in the federal government, with a focus on systems modernization. He leads OST’s DoD business with annual revenue of more than $30M and staff of more than 350, delivering a broad array of IT and systems engineering services. Examples include software sustainment for the F-16 fighter for the Air Force 309th SMXG at Hill AFB, sustaining and enhancing the Weapon System Management Information System for Air Force Life Cycle Management Center at Wright Patterson AFB, and delivering systems engineering, cyber, and other technical services to support PEO STRI, the Army’s Simulation and Training Command. Brad has also helped lead strategic company initiatives, including OST’s achievement of CMMI Services Level 3, reappraisal for CMMI-DEV Level 5, and several ISO certifications. 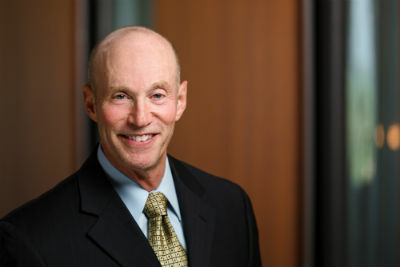 Prior to joining OST, he spent 18 years with a Fortune 500 company where he managed consulting practices and business units, where he focused on correcting troubled businesses and programs, consistently producing growth, profitability, and performance improvements, including a $25M increase in operating income and negotiated changes resulting in an additional $14M increase for a state health IT program. Brad’s leadership skills have been recognized with several awards, including the IRS Commissioners’ Award (an honor normally reserved for IRS staff) for his work on IRS tax processing modernization, and an award for outstanding mission support presented by Nextel Communications. He loves to solve complex problems and to mentor members of his team. Brad has a BS from Babson College, where he studied accounting and marketing, and an MBA from George Mason University, where he graduated first in his class. He has also taken advanced courses in international business at the University of Oxford and completed the Executive Certification Program in Corporate Strategy at Cornell University.